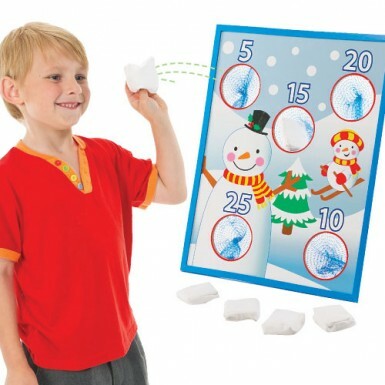 Throw a ‘snowball’ beanbag and aim for the highest points with this fun winter wonderland target game. Wooden target stand (39cm x 52cm) supplied with five small white fabric beanbags. Table top game for which is ideal for pre-school children. Table or floor standing depending on height of child.